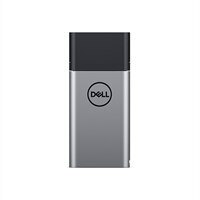 Dell Hybrid Adapter + Power Bank USB-C | PH45W17-CA - 45W AC Adapter + Notebook Power Bank (43Wh)Enjoy continuous and uninterrupted productivity by charging at your desk or on-the-go with the Hybrid Adapter + Power Bank USB-C. Simultaneously charge both your laptop and a USB mobile device. The 2-in-1 design offers the flexibility to carry one or both the adapter and power bank modules for your charging needs. Travel light without the need to bring a dedicated charger for your mobile device. 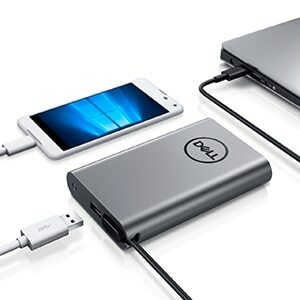 Enjoy peace of mind knowing that it is tested and certified to charge Dell laptops and tablets. Sleek and round-edged, this aluminum Hybrid Adapter + Power Bank USB-C neatly slips into your bag and conveniently charges your devices wherever you may be. Enjoy continuous charging at your desk or on-the-go with the Hybrid Adapter + Power Bank USB-C for uninterrupted productivity. 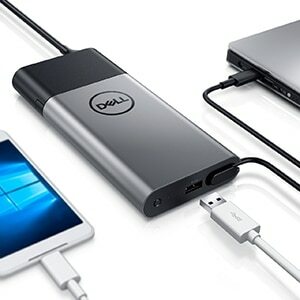 Enjoy continuous charging at your desk or on-the-go with the Hybrid Adapter + Power Bank USB-C. A breakthrough modular design enhances productivity—transition from charging at your desk to on-the-go by detaching the power bank module from the adapter and continue to charge your devices while you're out and about. With the Hybrid Adapter + Power Bank USB-C you can simultaneously charge both your laptop and a USB mobile device. The sleek 2-in-1 design lets you travel light without the need for a dedicated charger for your mobile device. The 2-in-1 design offers the flexibility to carry one or both the adapter and power bank modules for your charging needs. You can travel light without having to carry a dedicated charger for your mobile device. Slip the sleek, round edged aluminum Hybrid Adapter + Power Bank USB-C into your bag and be on your way. 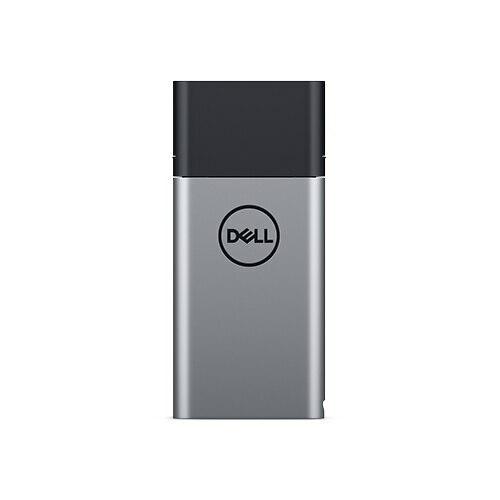 The Hybrid Adapter + Power Bank USB-C is tested and certified to charge Dell laptops and tablets so you can enjoy peace of mind. 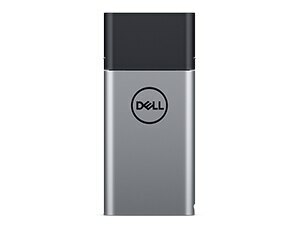 Simultaneously charge your laptop and a USB mobile device either at your desk or on-the-go.